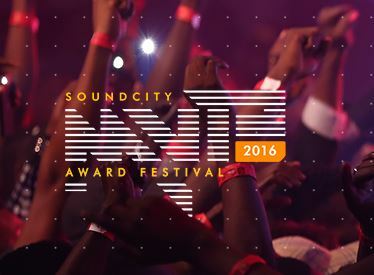 The Soundcity MVP Awards is set o take place in Lagos, December 29th 2016 and the nominations have been released. Nigeria’s Wizkid is leading the way with a record-breaking eight nominations,including four nods to his continent wide smash hit ‘Baba Nla’ for Best Song, Best Video, Viewers’ Choice and Listeners’ Choice with South Africa’s Emtee and Nigeria’s Olamide at a second close. The 2016 Soundcity MVP will broadcast live across the globe on Thursday, 29 December from the Expo Center of the Eko Hotel & Suites, in Lagos Nigeria. Man of the moment Davido is up for Digital Artiste of the Year alongside Tekno, A.K.A, P-Square, Tiwa Savage and Tekno. The 2016 Soundcity MVP would see Kenya’s Victoria Kimani, Tanzania’s Vanessa Mdee and Ghana’s MzVee face off with their Nigerian counterpart for Female MVP of the Year. Adekunle Gold’s ‘Pick Up’ and Tekno’s ‘Pana’ go head to head for both Viewers’ Choice and Listeners’ Choice. ‘Soweto Baby’ by South Africa’s DJ Maphorisa, ‘Mbilo Mbilo (Remix)’ by Uganda’s Eddy Kenzo and Emtee’s ‘Roll Up’ would be battling other Nigerian collaborative anthems for Best Collaboration. 2016 Soundcity MVP voting is open until 27th December so visit soundcitymvp.com to cast your vote!